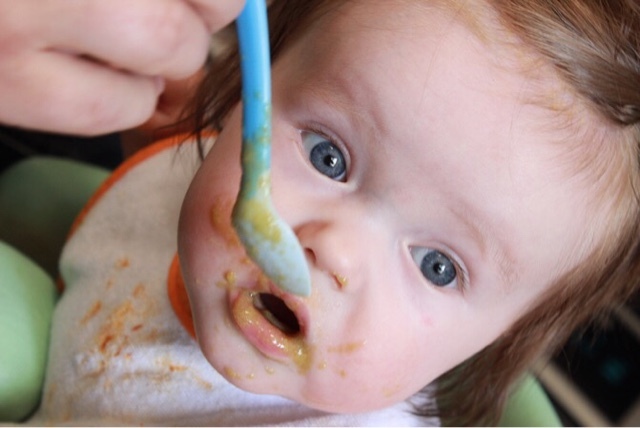 Feeding baby with solids is exciting and important for parents as your baby going to take the first step towards healthy eating habits that will last for a lifetime. 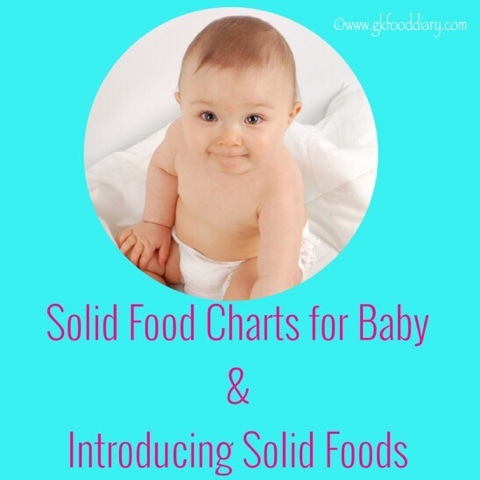 Here I have provided information on when to start solids, how to introduce solids and solid food charts for babies of age 6-12 months. 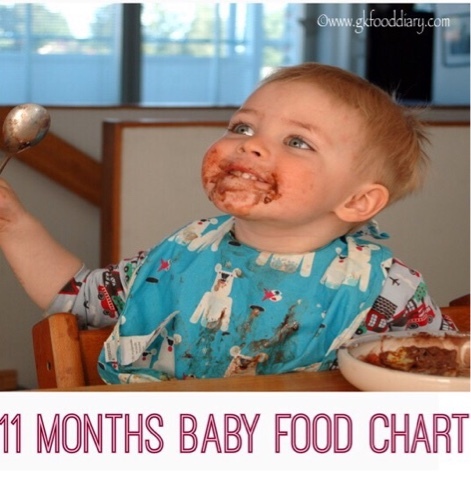 You can use this as a guide to feeding your baby in the first year. 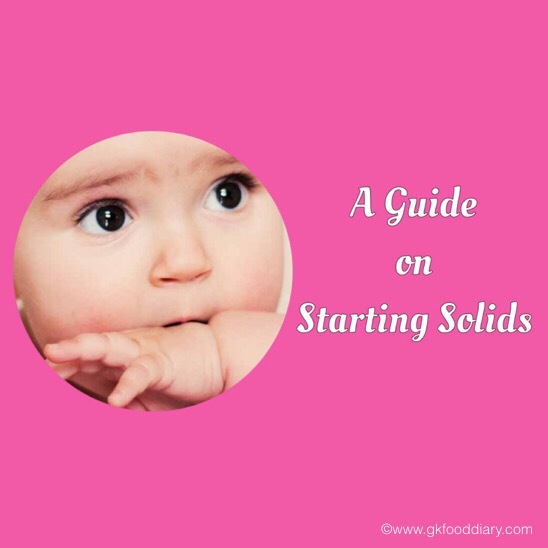 Bookmark this page for future reference as I will be updating this post on a regular basis with more information about feeding solids to the baby in the first year. Click on each thumbnail image or the link given below for the respective post or recipes. Please refer to the notes section given at the end of this post for the points to remember when following these solid food guidelines. 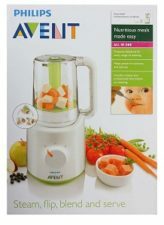 When should Baby start on Solids? 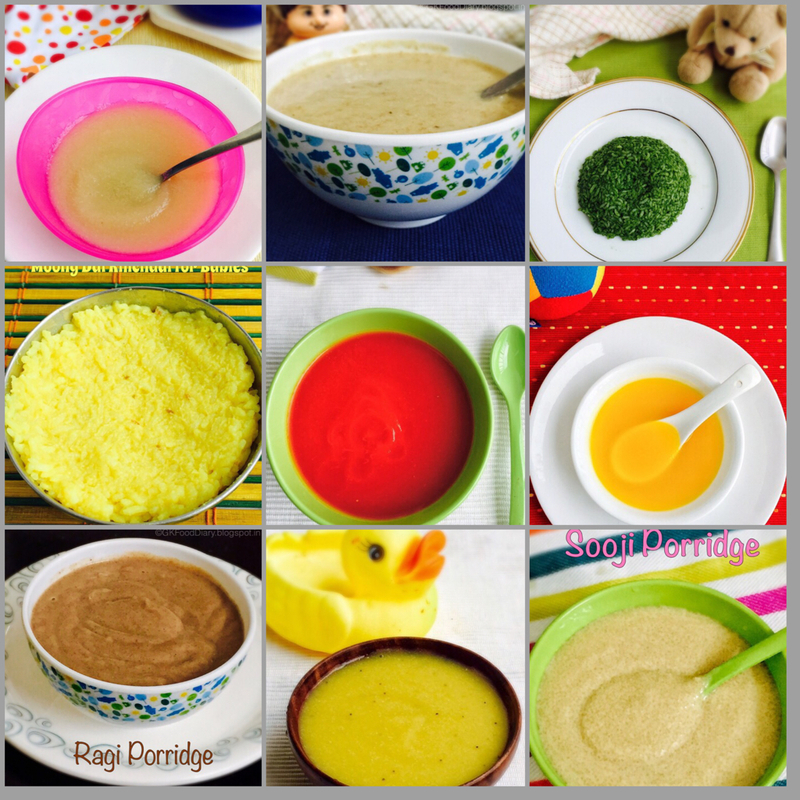 How to introduce solids to your baby? 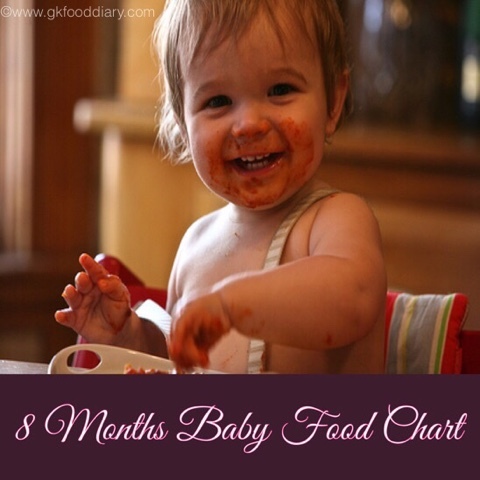 Here is the collection of baby food chart or diet chart or meal plan for babies of age 6-12 months, which helps you to plan what your baby may be eating at certain months. Each food chart has the information on what foods can be included at the particular month with a sample meal plan and approximate quantity of food. Please use them as a guideline and always discuss your solid feeding plan with your baby’s doctor before you begin. 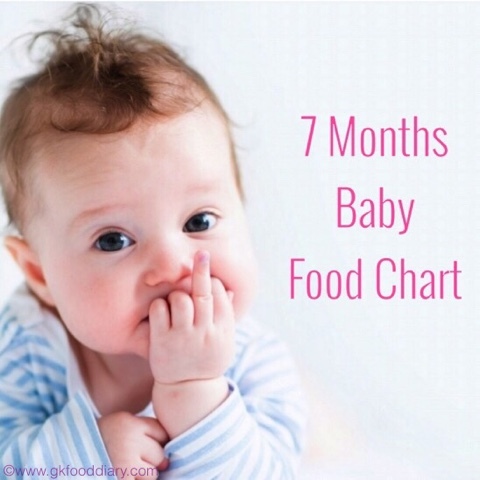 Also, Remember the below points before you plan solid food charts for your baby. 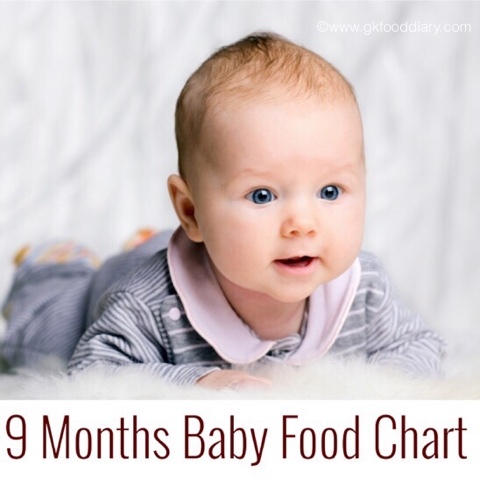 I have grouped the food options on each chart based on baby’s age relative to the ease of digestibility, texture, taste and possible allergy risks for baby’s stage. It’s purely your choice to alter the same if you want to introduce any food early, go ahead, even though it’s not listed in our chart. As per AAP, “no evidence delaying the introduction of allergenic foods prevents food allergies.” Hence consult with your baby’s doctor about when to introduce common allergenic foods if your family has a history of allergies to food, asthma or eczema. 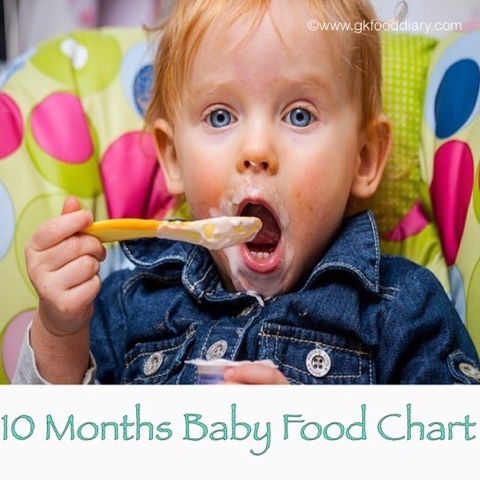 The quantity of food mentioned in each chart are rough guidelines only, each baby’s appetite is different and hence if your baby eats a bit less or more than the amount specified is okay. All these charts are prepared to give an idea of planning meals for each month. It should not replace the advice of your doctor. Before planning a diet chart, please consider your baby’s body type and other factors. Any sweetener( if the recipe calls for it) like jaggery, Palm jaggery, etc. can be avoided until one year. Instead, sweet tasting vegetables or fruits can be preferred. Sugar, salt, cow’s milk, and honey is not recommended until one year of age. After 6 months apart from mothers milk doctor advice to start some other foods for our babies. Therefore for new mother it is now being one of the toughest tasks to collect some good food chart for their babies. It is quite better go for solid foods after 6 to 8 months. 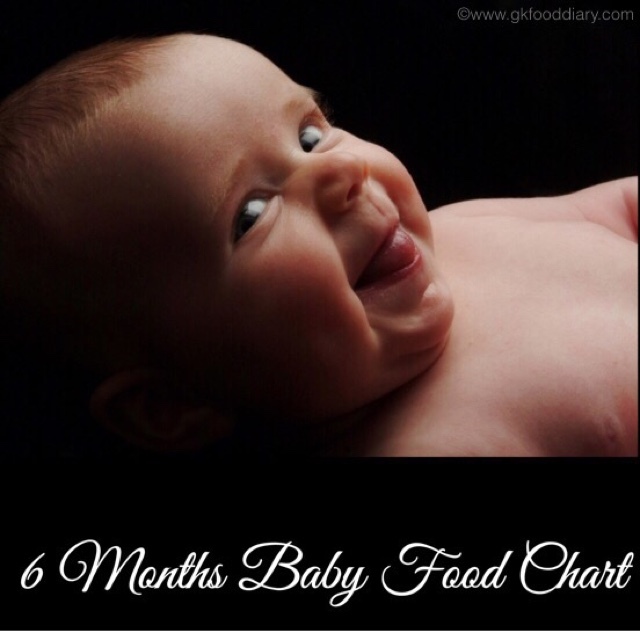 Here in this article we can get the complete details solid food charts especially design for 6 to 12 months kids; I am sure while following this solid food chart of babies new mothers are able to deliver quick vitamins, minerals and protein to our babies. I have 5 months old baby boy. I am thinking, what should I feed him once he completes 6 months. Ur website gave me an overall idea what and how much to feed. Thanks a lot 🙂 I appreciate ur work. Glad you found this website useful. Yes you can add fruits, but add as fruit puree rather than juice. Any sweet tasting fruit banana, Apple, pear etc are good to add.